A few months ago, my friend Charlotte from At Charlotte's House asked me if I wanted to join her as part of a group called Bloggers Heart Habitat and I immediately jumped at the chance. Charlotte founded BHH a couple of years ago as a way to put her creative forces to good use and partner with Habitat for Humanity! 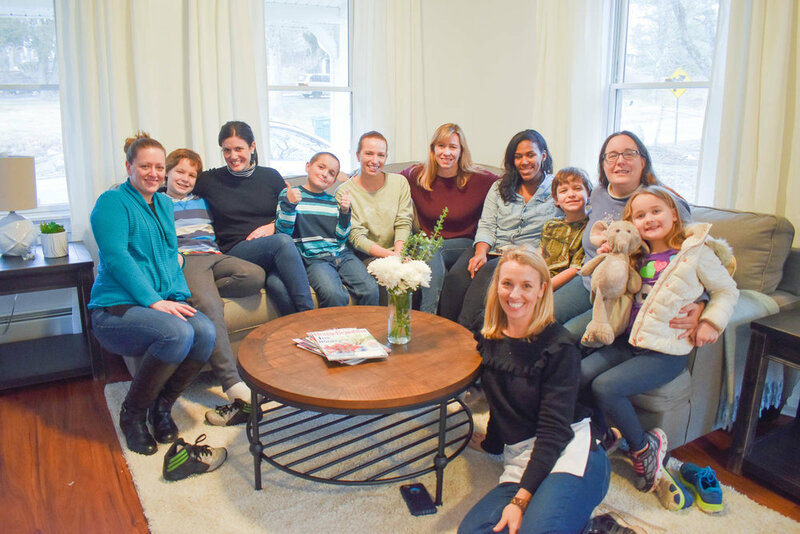 She organizes a talented group of creatives (For this project: Jillian from I am a Homemaker, Diane from The Rath Project, Carli from Fearfully & Wonderfully Made by Carli, and Lisa from Shine Your Light) to design and install rooms in a new Habitat home. We get paired with a wonderful family, and they select a few rooms they would like our help with. This round the family chose a boy's room, and their open concept living/dining room. We were super lucky to have Raymour and Flannigan as a corporate partner on this project. They opened their showrooms up to us and generously donated everything for the space! Our biggest challenge was space! The room is just shy of 100 sq feet, and we needed to ensure we had beds, storage, and a place to study/play. Bunk beds were a must and we were so lucky to find this awesome set that had storage built in. Major score when you're trying to maximize the layout. On the opposite end of the room, we set up a study space with a slim writing desk , as well as an accent chair for hanging out. We stayed true to their wishlist of black and red throughout with a black rug setting the foundation for the entire space. We even brought in some sweet black and white artwork to round out the space. In addition to the under-bed storage, we also added in a chest of drawers for all of their clothing etc. The best part of this whole process was walking the family through the space at the end of the day! The boy's faces absolutely lit up, and they immediately started testing out all of their new furniture! They could not have been more gracious or polite, and it really made the whole experience worth while! Make sure to check out Charlotte and Jillian's sites for more photos of the boys room. And Head on over to Diane, Carli and Lisa's sites for all of the photos and details on the living/dining space! The whole BHH crew, along with the Family enjoying their new home!